Urban Vatika is a symbol of rejoice and prosperous life where your residential dreams come true and you get a more comfy life style. The pleasant atmosphere covered with greenery add a delightful flavour to its living style. The sun, the wind and other elements have been analysed to come up with the master plan making every home and corner perfect. Luxurious amenities and lifestyle served here as we apparently understand our accountability towards you.Urban Vatika is situated at the heart of Tricity and well connected with Zirakpur, Chandigarh, Mohali, Ambala, Panchkula and shimla and the highways of Ambala,It is a perfect translation of futuristic vision, brilliant planning and impeccable intent into execution of a Marvelous Affordable Housing Township.Chandigarh and Patiala. All the convenience including transportation, eating points, financial hubs, hospitals, schools and colleges are within 10 minutes reach. We provide you here best residential services with best possible convenience as we give a dining room with plaster and plastic emulsion walls and double vitrified floors, Bed room with modular appliances and wooden cupboards, Kitchen with modular wooden cabinets and granite counter top with designer glazed ceramic tiles, Washroom and Toilets with branded fittings and designer glazed ceramic tiles floors. Apart from these we provide electrical provision for your cable connection, railings and weather proof painted walls. 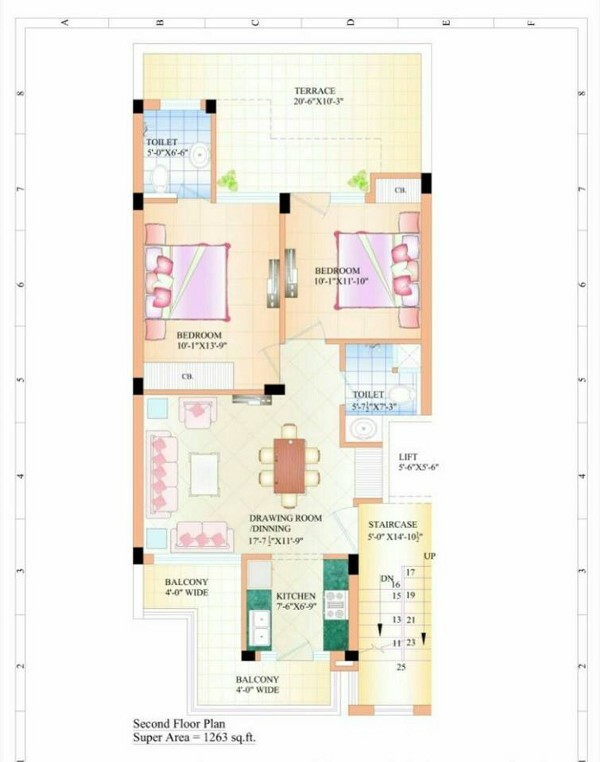 2 BHK Apartments, Super area: 1263 sq. 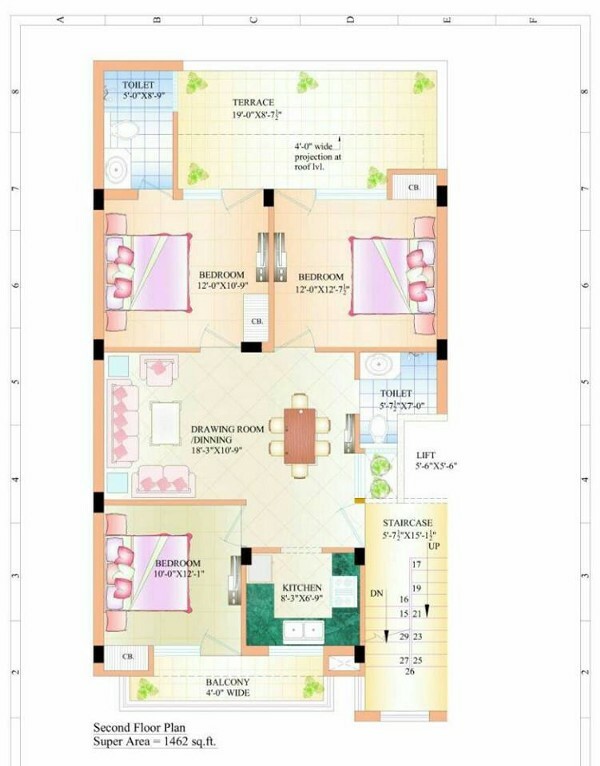 ft.
3 BHK Apartments, Super area: 1462 sq. ft.
Electrical: Modular Switches Legrand/ Goldmedal/ L&T or Equivalentwith Copper Wiring Havells/Shalimar/Polycab or Equivalent. 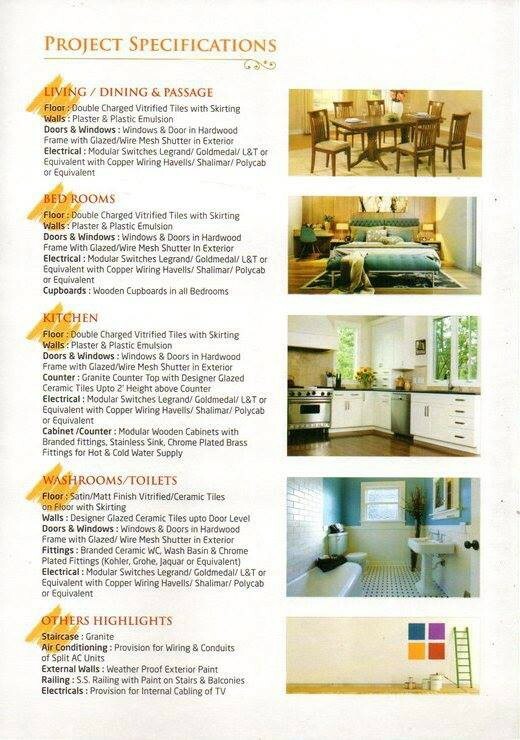 Electrical: Modular Switches Legrand/ Goldmedal/ L&T or Equivalentwith Copper Wiring Havells/ Shalimar/Polycab or Equivalent.